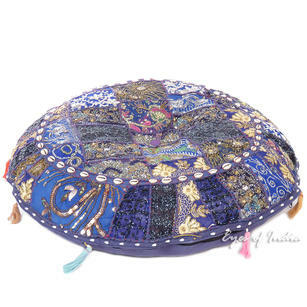 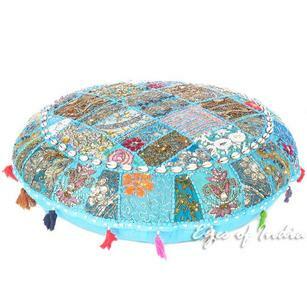 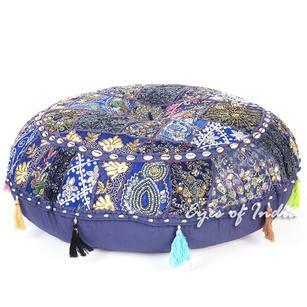 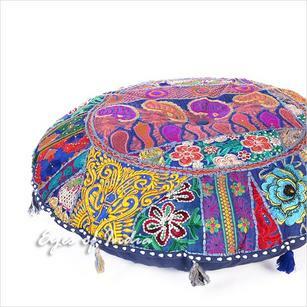 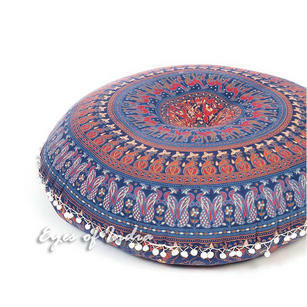 At Eyes of India, we are very proud to source and supply a wide range of Decorative Bohemian Cushions, including Floor Cushions and Poufs. 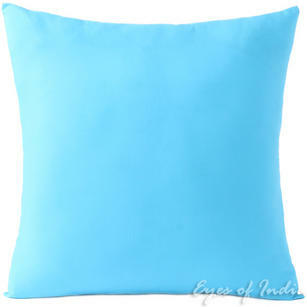 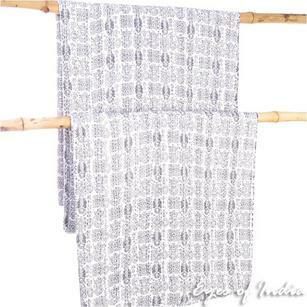 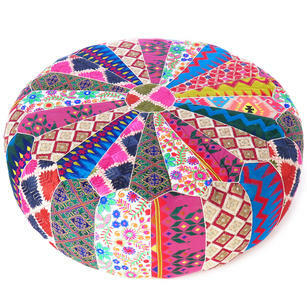 All of these cushions have been handmade by Indian Artisans, using only the most traditional methods. 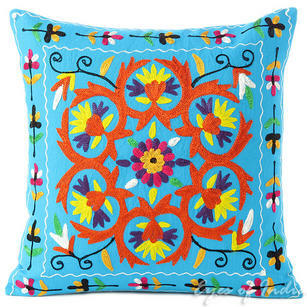 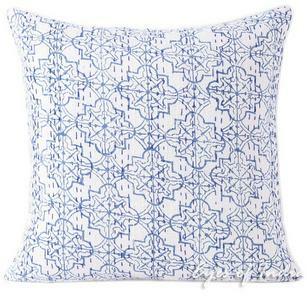 Most of these designs and cases feature the colour blue, and our blue cushions are popular choices for those looking for pillows and cushions to help create the perfect bohemian abode. 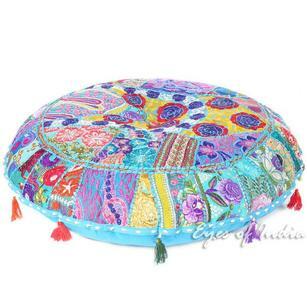 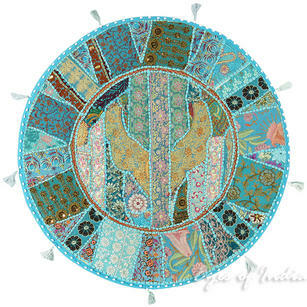 A huge array of designs are available and these cushions look brilliant when used in conjunction with other Bohemian pieces, such as tapestries and wall hangings. 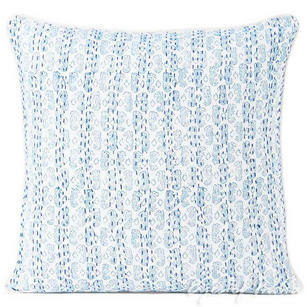 As ever, if you have any questions about the below cushions - just get in touch and we will be happy to help. 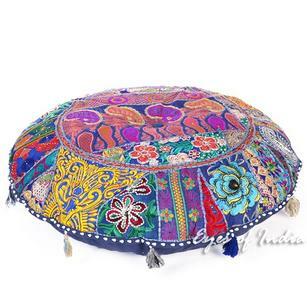 Blue Decorative Colorful Couch Pillow Cushion Cover Sofa Throw Bohemian Boho - 24"
Blue Decorative Colorful Cotton Couch Sofa Cushion Pillow Throw Cover - 16 to 24"